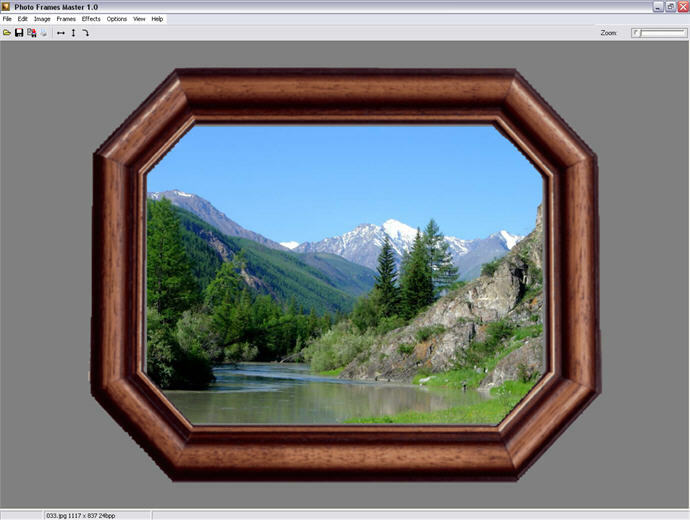 Program for adding frames and borders to photos and images. Besides, it allows to correct photos and add effects. Created images can be saved in different formats and pronted from program. It's easy in use and has many options, that allow to create your own masterpiece.